Some of the best issues of my email newsletter (which you can subscribe to while also getting my free eBook Your Facebook Friends Are Wrong About Health Care at the same time) are my responses to crazy people. Today’s peek into the ol’ mailbag yields some correspondence from a fellow who isn’t crazy, but who thought “the financial crisis was caused by deregulation” might be an argument I hadn’t heard before. He sent me a number of such emails, so I’ll have plenty of fodder for my list in the coming days. Why are Libertarians and conservatives sympathetic to the economics of Hitler and Generalissmo Francesco Franco? Corporate power has never been stronger, and the right to work laws hinder workers abilities to organize. Me personally, you are not a Libertarian, I think your view of economics is quite clear. Traditional Libertarians were anarcho communists and socialists and believed strongly in labor unions, education, and healthcare. I would consider it a honor if you respond to me. After the Financial Crisis of 2008, I don’t think you can use Thomas Sowell, Walter E Williams, Hayek, as reliable sources anymore. We deregulated the economy, industries were gutted, CEO pay is out of control, our democracy is destroyed of which unions are essential to democracy, so if you plan on using the frauds and phonies like Hayek as sources you would be making a big mistake. PS. I’m sorry for speaking so aggressively to you, I really am, but I learned by researching the prelude of the Spanish Civil War, strength is the only thing your people understand. Surprisingly, the communists were the first people to argue that negotiations were hopeless against people like you and force was the only way. Please tell me why your sympathetic to fascist economics? Supply side economics have not worked since the turn of the 20th century. I take that back: the guy probably is crazy. 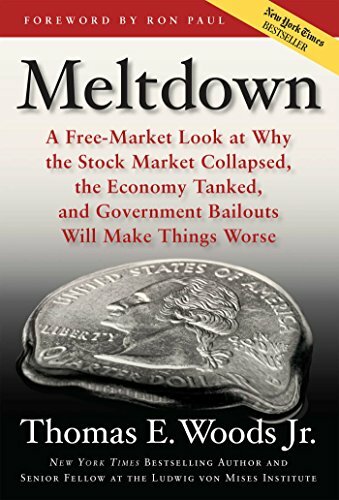 Meltdown: A Free-Marke... Jr., Thomas E. Woods Check Amazon for Pricing. So: why are libertarians sympathetic to fascist economics? This is like asking why the Atkins diet is so heavy on carbs. He asks me this, I might add, after I posted a lecture just weeks ago in which I walked my audience step by step through the anti-capitalist economics of Hitler. Fascist economics involves the creation of state-supervised cartels as a way of countering the so-called dog-eat-dog competition of the free market, and imposing some kind of state control over what would otherwise be an anarchy of production. So no, we don’t favor that. Yeah, that sounds like something a libertarian might say. Our friend then lists Thomas Sowell, Walter Williams, and F.A. Hayek as discredited economists. It’s as if he’s just chosen three economists at random here. Much as I love Sowell and Williams, they are not Austrian School economists, so they’re not my go-to people on the financial crisis (even though I’m sure they have plenty of sensible things to say, and Sowell cites my 2009 New York Times bestseller Meltdown in his own book on the housing boom and bust). 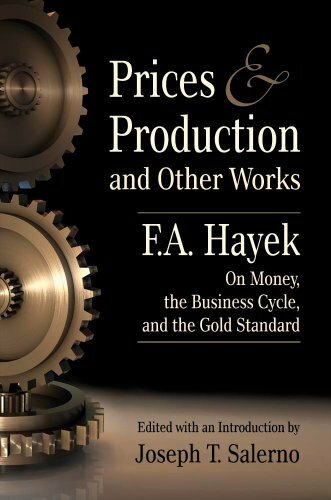 Regarding Hayek, there is zero chance our friend has read Prices and Production or any of Hayek’s economic works. (In fairness, even most libertarians don’t read Hayek’s purely economic works.) I would say there is a three percent chance he has read any of Hayek’s works on any subject. I have no idea what he thinks Hayek’s views of the causes of the financial crisis would be, or on what basis he would reach such a conclusion about Hayek. As for “deregulating the economy,” subsequent emails make clear that our friend believes deregulation caused the financial crisis. The “partial repeal of Glass-Steagall,” which folks like this guy point to when painted into a corner, simply meant that the same holding company could now control both a commercial bank and an investment bank. But every other country in the world had already been operating that way, without incident. But in any case, did the crisis of 2008 actually involve institutions like that? Nope. Even the Washington Post had to concede the irrelevance of Glass-Steagall to the crisis. Generally the problems came from standalone investment banks and standalone commercial banks, and even the odd exceptions of J.P. Morgan and Wells Fargo resisted the infusion of government capital and could well have emerged on the other side without it. Here’s a good question: which repealed regulation would have prevented the crisis? Not to mention: it is naive and uncomprehending to expect that there might be some way, once the Federal Reserve has generated an artificial boom, to “regulate” our way out of it. The fact is, banks had always been allowed to extend no-doc mortgages, or securitize loans, or whatever else they did during the crisis. What happened was that the banks did a poor job of performing a traditional banking activity: extending mortgage loans. Why should they suddenly have done such a poor job? Why, greed, of course, say the anti-capitalists. If “greed” is the answer, why did the crisis occur when it did? Were people uniquely greedy only in certain years? In Meltdown I lay out the full explanation, which has plenty to do with the Fed as well as government policy. Private actors were bit players in a much larger drama. There’s so much more to reply to in the guy’s email, though. By the end he’s switched to talking about “supply-side economics,” as if this is interchangeable with Austrian economics. Like the supply siders I certainly do favor lowering top marginal tax rates, as do all civilized people, but unlike them I am not at pains to demonstrate how much of the lost revenue will be made up by increased economic activity. Note, too, what is missing in his email: the Federal Reserve. This is always missing. Without the Fed in the picture, we can pretend “capitalism” just spontaneously produces housing bubbles, and that in the 21st century we Austrians have everything we want! A purely deregulated, laissez-faire economy! 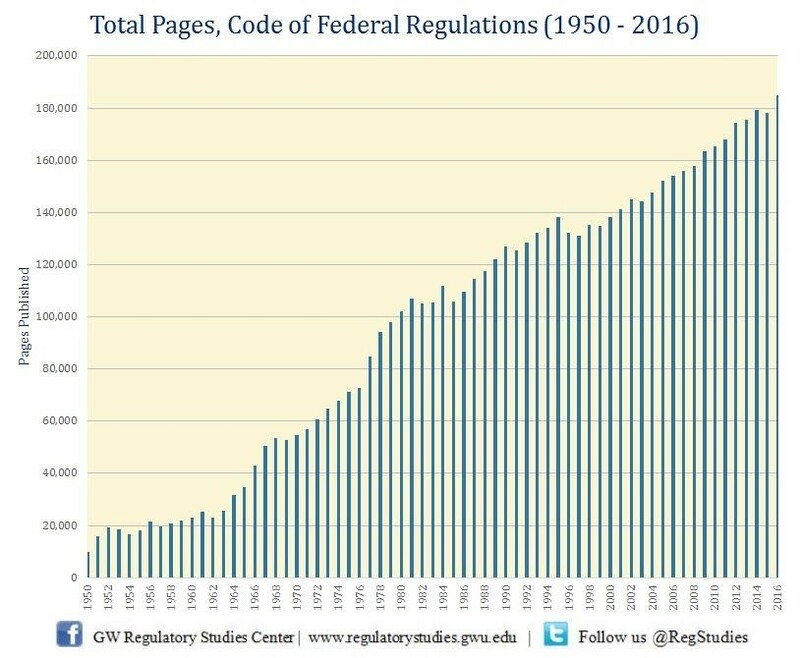 Meanwhile, in terms of financial regulation – and if there’s a more regulated sector in the entire economy than the banking sector, I’d like to know what it is – since 1980 the budget for the relevant regulatory agencies has increased by a factor of three, even accounting for inflation. At the time of the crisis there were no fewer than 115 state and federal agencies tasked with regulating the financial sector. He expects us to believe that if only we’d had 116, everything would have been all right. This superstitious reverence toward regulators is really beneath a free people, especially given how clueless those regulators were in the years leading up to the crisis. The Fed itself is supposed to be the overall regulator of the banking system, and I can share dozens of idiotic things Fed officials said about the economy and the housing market in those years.